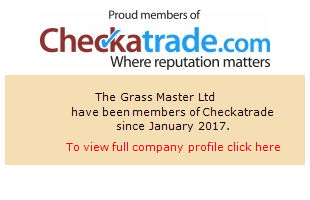 The Grassmaster offer a first class lawn laying service using our top grade lawn turf. We can remove your old lawn and leave you with a beautiful lawn to enjoy. We can also supply you with turf should you wish to DIY. A larger turf maintenance contract by The Grass Master Ltd.
New turf laid at a domestic property by The Grass Master Ltd.
Another domestic turfing project by The Grass Master Ltd.